If your device DOES NOT PROMPT/ASK FOR UNLOCK CODE: DO NOT ORDER UNLOCK CODES as your LG LMX210M phone will not allow you to enter these codes. How Do I check if my LG LMX210M Phone will accept the code? If phone DOES NOT PROMPT/ASK FOR UNLOCK CODE: DO NOT ORDER. That means your LG LMX210M handset has a factory firmware that does not allow you to unlock it with a code. 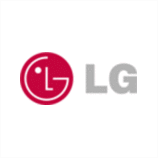 Unlock your LG LMX210M Now! Simply provide your details and phone serial number and we will email you the unlock code with Easy-to-Follow Step-by-Step instructions. Important: Select the Current Country & Network your LG LMX210M is locked to. Do NOT select the network you want to use. The easiest and safest way to unlock a LG phone is through an unlock code. When inserting a SIM car from a different carrier, your phone will show an error message and should prompt for an LG LMX210M unlocking code. This is exactly what you will get using our services! - Increase the resale value of your unlocked LG LMX210M. - Use your LG LMX210M with any GSM service provider worldwide, accepting any SIM card. - No technical knowledge required: If you can dial a telephone number, you can unlock your LG LMX210M with a code. Switch ON your phone with a SIM card from a different carrier (insert a non-Accepted SIM Card in the phone): IF the phone prompt / ask for an unlock code: it's OK, you CAN ORDER. If phone DOES NOT PROMPT/ASK FOR UNLOCK CODE: DO NOT ORDER. That means your LG LMX210M handset has a factory firmware that does not allow you to unlock it with a code.